The one-day Paris-Bourges took place on Thursday in France and proved to be a good late-season race for Team Katusha’s Aleksandr Porsev, who sprinted in for second place on the 190.3 km course from Gien to Bourges in the 66th edition of the race. - Of course, I am a bit disappointed, because the victory was so close. I saw the picture of photo finish and it looks like it was just 1 millimeter between us. Nothing to do. It was a good race for me, I felt pretty well and the team was really strong. My teammates provided me a great support, especially in the end. I thank the team for this. In the final Marco and Jacopo did a great lead-out, we entered the last corner in first position, so I started my sprint when I wanted to do it. I did my best and missed just 1 mm. 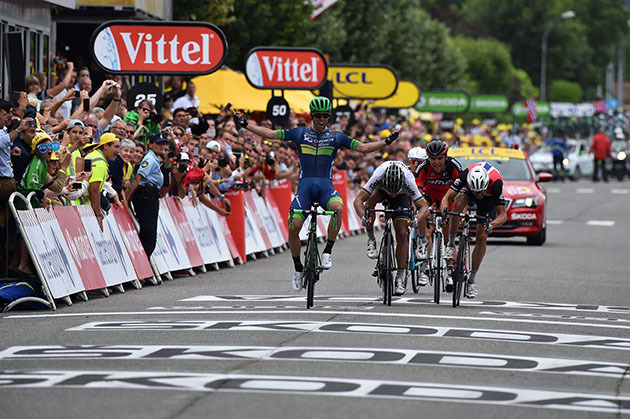 Anyway, I am looking forward to my next race Paris – Tours and the Worlds, - said Aleksandr Porsev. - I am very happy with the team and the way our guys did this race. Katusha looked strong today. We decided to work for Aleksandr Porsev - he is in a good shape and has proved it today, - said a pleased sports director Gennady Mikhaylov. 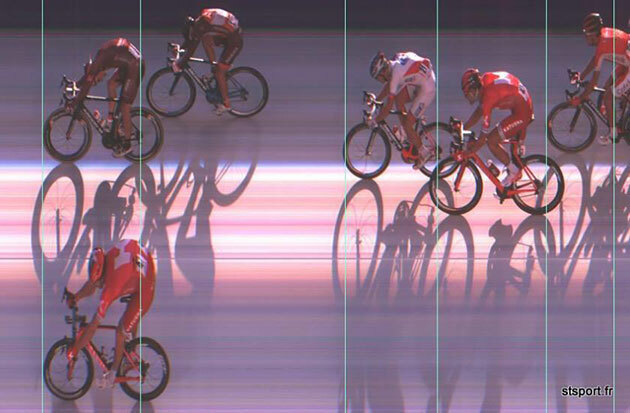 With the results having to come from a finish line camera, Porsev was second to Sam Bennett of Bora-Argon 18. Third place was Rudy Barbier of Roubaix Lille Métropole. - Marco Haller did a strong lead-out with 1 km to go while Jacopo Guarnieri provided Alexander the last wheel. Porsev did a good sprint and in the first moments we though he had won – everything was so close in the final. But the photo finish showed it was Bennett who won the race. We can be happy with this race and this should bring more confidence to Aleksandr before the World Championships, - said sports director Gennady Mikhaylov. In the last half of the race the peloton split into two parts with a selection of some 50 riders in the front group. Team Katusha had five riders represented, making it a good situation for the race final. A break of two riders was finally brought back with 13 km to go, with the teams of the sprinters then preparing for a group sprint. Maxim Belkov and Sergey Lagutin worked hard to protect the position of Porsev before Haller and then Guarnieri took over their sprint-train duties for the finish. Guarnieri’s good work gave him a fifth place finish on the day. Several riders have already announced the agreement of a longer stay at the Lotto Soudal formation and now it’s up to Tosh Van der Sande, Jelle Vanendert, Sander Armée and Thomas Marczynski to do the same. Vanendert, Armée and Marczynski have signed an one-year agreement, Van der Sande extended his contract with two more years. 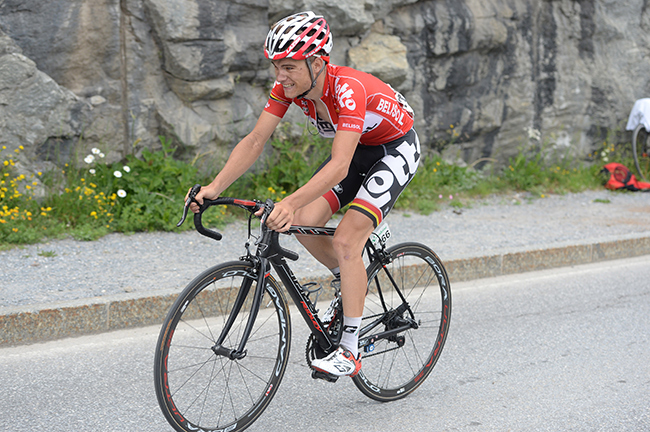 This year, Tosh Van der Sande won his first professional race. Jelle Vanendert will start his ninth season with the team. After a good season with a victory in the mountains classification at the Tour de Romandie, the team rewards Sander Armée with a contract extension. For Tomasz Marczynski, 2016 was the first year with Lotto Soudal, unfortunately a virus caused some health struggles for him but he could help the leaders in the one-week stage races. 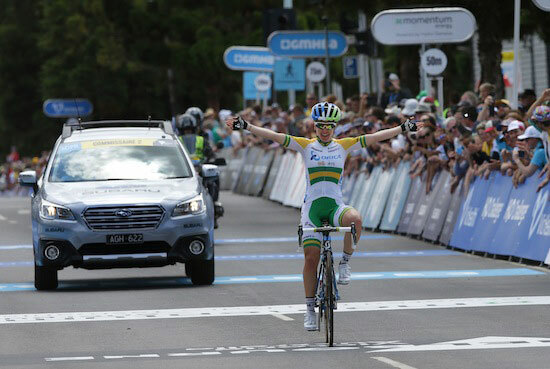 ORICA-AIS are pleased to announce the re-signing of two crucial leaders for the 2017 season. Current Australian champion Amanda Spratt and two-time former champion Gracie Elvin will continue to lead the Australian outfit for another year having both stepped up into consistent performers whilst setting a great example for younger riders within the squad. “We are very excited to have Spratt and Elvin back with us for the 2017 season,” explained sport director Gene Bates. “This season both riders have really stepped up and had some great victories. Gracie continued her progression in becoming a serious classics contender. She is a very versatile rider within the team, achieving victories in both Australia and Europe whilst showing her commitment to her teammates. Elvin, who claimed the Gooik-Geraardsbergen-Gooik this year, has set similarly high goals for 2017. "I'm very happy to be continuing on with ORICA-AIS for 2017,” explained Elvin. “I have been consistently building on each season since I started with the team and 2016 was a great year for me. I have been given many opportunities to go for results and also to work on my leadership skills. I set some very high goals for myself this year such as making the Olympic team and I was able to reach these with the help of ORICA-AIS. Spratt has spent five years with the Australian outfit and is the only remaining inaugural member of the team. After a successful 2016 season, the 28-year-old is excited to see what she can achieve next season as one of the main foundations of the team. Establishing herself an important leader within the Australian outfit, Spratt is looking forward to another year with the team with new challenges and new races on the calendar to look forward to. I am happy to be able to call ORICA-AIS my home for another year,” said Spratt. “I feel like I am still improving every year and still challenging myself in new ways which is really important for me. I have really enjoyed the leadership role and that is something I want to really work on more heading into next season." While Team Giant-Alpecin has been bringing the current road season to a successful close with top-10 finishes in the Eneco Tour GC, Milano-Torino and Giro di Lombardia, and a victory at the Münsterland Giro, from an organizational point of view the focus is also already on the 2017 season. The German team will strengthen its 2017 men’s and women’s programs – adding both strong leaders and worlds best-in-class talents from the younger generation – and launch a revolutionary development institute. High-profile riders such as Michael Matthews (AUS) and Wilco Kelderman (NED) will contribute to bring the men’s roster for 2017 and beyond to the next level, while the recently announced addition of former world junior and European U23 time trial champion Lennard Kämna (GER) and Australian U23 champion Chris Hamilton indicates that the team continues to attract the world’s most promising young riders. The women’s roster has also been significantly bolstered for 2017 with the signing of the Dutch duo European TT champion Ellen van Dijk and Lucinda Brand, European junior road champion from Germany, Liane Lippert, and promising French rider Juliette Labous. The start of the 2017 season, the first year under the new name Team Sunweb, will mark the launch of the “2000 Tage zur Spitze” project. A major component of this project is the team’s new development program. The vision for this program is not merely to develop riders into the pro ranks; rather, the aim is to develop and deliver the next generation of stars. This revolutionary program aims to be the world’s most prestigious development institute, and only the very best German and international talents will qualify to join. The team’s twofold strategy is to run and grow a top-performing team in the WorldTour today as well as developing tomorrow's champions. This strategy is illustrated by the high-profile riders who have signed for the men’s and women’s programs, parallel to the No. 1 and 2 finishers at the world junior championships, Felix Gall (AUT) and Clément Betouigt-Suire (FRA), joining the new development program. This development program, operating from the team base in Germany, will be fully integrated into the team. Forming the next generations of talents will be both on and off the bike via educational programs. This structural investment in the future of German cycling is designed to lead to a continuous stream of talented German riders into the UCI WorldTour and to function as a catalyst for the future of cycling in Germany. The men’s, women’s and development programs will operate according to the team’s well-established “Keep Challenging” elite sports approach – optimizing cooperation and accessing the same science, technologies and resources. The team’s long-term ambitions correspond nicely with the ambitions of its main partner, Sunweb, part of the Sundio group, a leading tour operator in Europe, whose commitment to cycling is part of its long-term European growth strategy with Germany as its key growth-market. The team’s long-term partnership with Giant – on an exclusive basis in the UCI WorldTour – will ensure that the both men and women will race on state-of-the-art Giant and Liv machines, respectively, in the years to come. Giant is pursuing several innovation and R&D projects together with the team’s experts and engineers, and both parties will benefit technologically from the cooperation in a broad range of areas. While Team Giant-Alpecin is aiming high for the remaining races of the current 2016 road season, behind the scenes the foundation is being laid for the 2017 season and beyond.